Don Crosby Veterinary Surgeons provides modern, professional and affordable health care for your pets. We make your pet feel at ease in our clinic with a caring and gentle approach to treatment and consultations. Our dedicated staff and leading veterinarians are all passionate about pets and avid animal lovers. 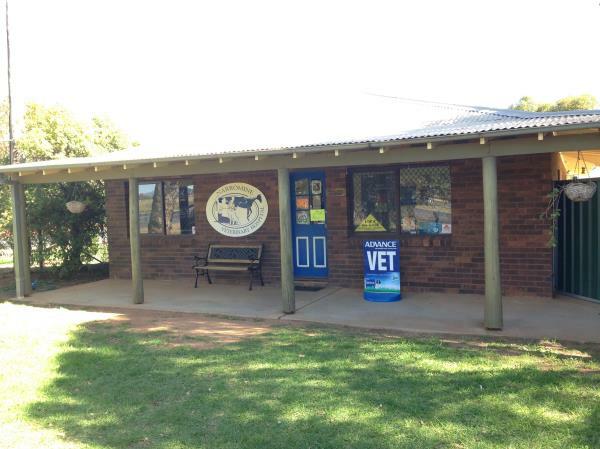 Our hospitals have fully equipped examination rooms, multiple anaesthetic set ups, digital x-ray, ultrasound, blood pressure monitoring, ECG, small animal dental machine, Powerfloat for Equine Dentistry, stables, horse stocks and cattle yards. We believe that caring is more than words and will treat your pets as one of our own. Our vets that are employed here are not only chosen for their technical skills and knowledge but also for their caring and compassionate approach to our patients. Both Narromine and Dubbo hospitals have a family-like atmosphere to them and we all work together as a team to enforce a positive environment to work within. Take a moment to meet our team and our own pets. We look forward to seeing you and your pet again at the next scheduled visit. We are open 6 days a week, plus our emergency after hours service provides you 24/7 assistance in any emergency.